A partial listing of our more popular products is listed below. If you don't see what you need please call or email us, either we have it in stock or our extensive network of dealers does, and we'll be happy to get it to you. 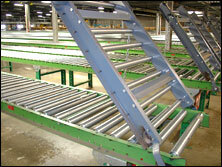 A conveyor system is a common piece of mechanical handling equipment that moves materials from one location to another. 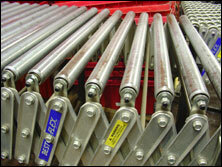 Conveyors are especially useful in applications involving the transportation of heavy or bulky materials. Conveyor systems allow quick and efficient transportation for a wide variety of materials, which make them very popular in the material handling and packaging industries. 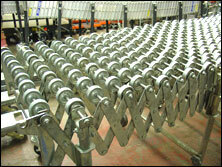 Many kinds of conveying systems are available, and are used according to the various needs of different industries. 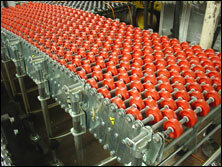 Conveyor systems are commonly used in many industries, including the automotive, agricultural, computer, electronic, food processing, aerospace, pharmaceutical, chemical, bottling and canning, print finishing and packaging. 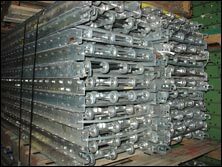 Although a wide variety of materials can be conveyed, some of the most common include food items such as beans and nuts, bottles and cans, automotive components, scrap metal, pills and powders, wood and furniture and grain and animal feed. 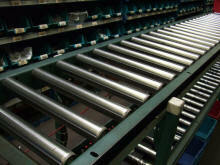 Many factors are important in the accurate selection of a conveyor system. 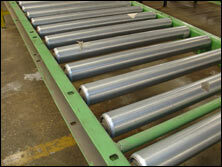 It is important to know how the conveyor system will be used beforehand. 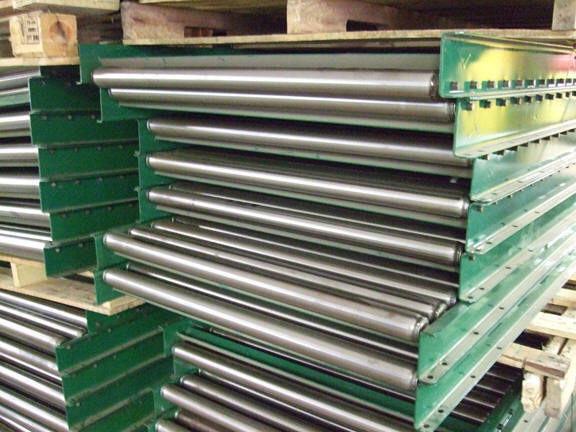 Some individual areas that are helpful to consider are the required conveyor operations, such as transportation, accumulation and sorting, the material sizes, weights and shapes and where the loading and pickup points need to be. If you stop to think about it, loading or unloading without a conveyor system is like taking the trash out one bag at a time. 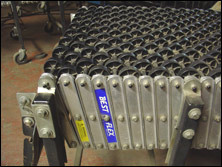 Studies show that if you depend on manually handled carts to pick and move orders in a facility greater than 25,000 square feet, then you are a prime candidate for implementing a conveyor. 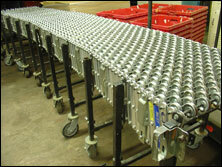 With conveyors, picking is more accurate and so is stocking. Call A&A Surplus Inc. at 1-800-826-5326 for assistance in looking at your systems and processes for receiving, putting away, picking, warehouse flow, packing, shipping, checking, and so forth. 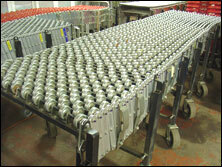 Could the time that workers spend picking, rather than walking be increased with the implementation of a conveyor? 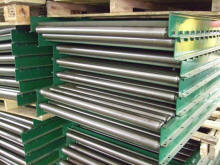 Are your orders filled one at a time from start to finish? Look at your competition. Are they using conveyor systems? What story do their numbers tell? 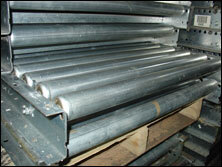 Call A&A Surplus Inc. today at 1-800-826-5326 for a quote. The expert A&A Surplus Inc. staff is standing by to get you just what you need from our 250,000 square foot climate-controlled indoor warehouse showroom or our nationwide vendor network. 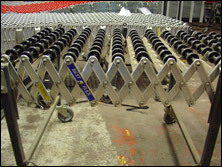 We take the same friendly, professional approach regardless, whether an overall system design or a solitary Gravity Conveyors, Power Conveyor, Conveyor Accessories, or Best Flex Systems.